Welcome to this spacious 2 story home in the heart of Lake St. Louis and with full lake rights! 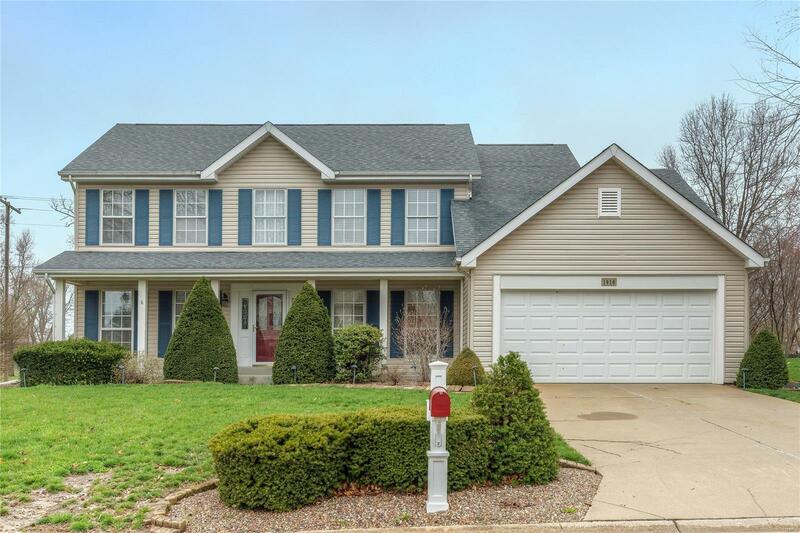 This 4 bed, 2.5 bath home features a 2 story entry foyer, brand new carpeting throughout, fresh paint, family room with gas fireplace and bay window. The large eat-in kitchen features stainless steel appliances including a double dishwasher and 5 burner gas stove, center island, pantry, planning desk area, new lighting fixture and new sliding door leading to the level back yard. Main floor laundry with cabinet space is off the kitchen. Upstairs is the large master suite with his and hers walk-in closets and the master bath with double sinks and separate tub and shower and new light fixtures. Three more spacious bedrooms and a full hall bath complete the upper level. Other features include: A/C 2016, humidifier 2018, siding 2017, roof 2014, garage door 2018, sump pump 2016, water softener 2018, upstairs double hung back windows 2014.